Threaded Needle Valves | Tubed End Needle Valves - Chase Controls, Inc.
Chase Controls offers needle valves from both Sync-Lok and Apache Pressure Products. Sync-Lok offers both threaded and tubed end needle valves in 316SS. Sizes range from ¼” thru ½”. Tubed end needle valves are offered in dual ferrule design. 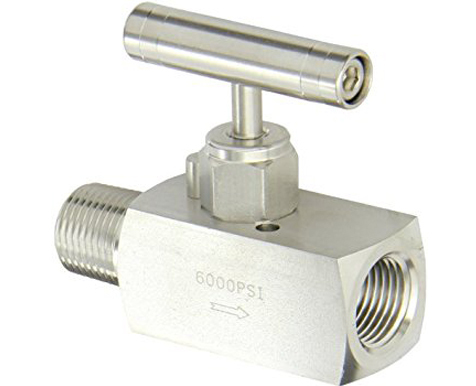 Apache Pressure Products offers needle valves in carbon steel or 316SS in either ¼” or ½”. Pressure ranges from 6000 PSI to 10,000 PSI. Process connections offered is Male/Female or Female/Female.